Human trafficking survivors often have experienced traumatic physical and sexual violence that can result in layers of hidden wounds after they have left their situation. The emotional and mental effects can be persistent and devastating, raising the challenges in providing adequate mental health treatment and trauma-informed services. Although mental health care is a complex industry on its own, with limited availability and access to appropriate services, shame and guilt are typically the most common barriers preventing victims from seeking mental health services. To overcome these challenges and the stigma surrounding cultural and community sensitivity, many organizations such as Save the Children and Human Rights Watch are weaving art therapy with mental health care to complement holistic care and healing. This mission is to help survivors share their stories creatively and in a non-invasive way, especially when words cannot be used to express their stories and feelings. Art therapy is defined as using an application of art in a therapeutic context. This can take many different forms, from painting and drawing to sculpture making and pottery, to music and poetry. It can also happen in different settings, such as an open studio with minimal guidance, one on one coaching, and even a supported, structured class. All settings of art therapy have their own benefits. An individual therapy session can help establish a bond between the victim and therapist, creating trust and reducing fear. On another note, group sessions are excellent for building healthy connections with others, which can be particularly helpful for survivors battling with developing relationships and struggling with interpersonal communication. 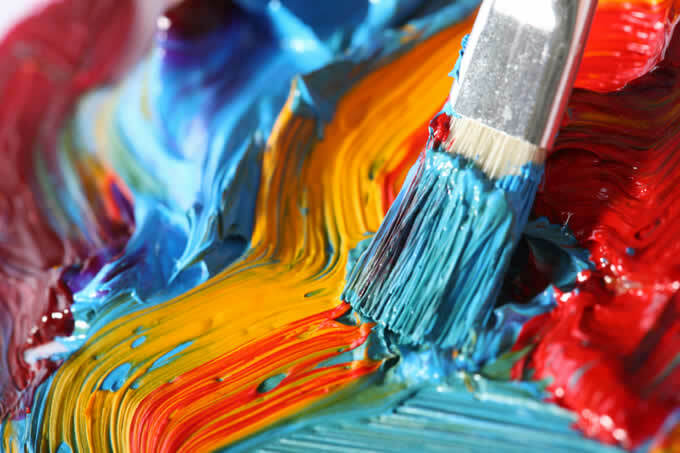 Art therapy is defined as using an application of art in a therapeutic context. This can take many different forms, from painting and drawing to sculpture making and pottery, to music and poetry. The purposes of art therapy are to create a safe outlet for human trafficking survivors to express their inner emotions and experiences, assist in the rehabilitation and healing process, and support personal change and growth. Victims of human trafficking may suffer from the symptoms of deep and debilitating trauma, leading to self-harm, suicidal thoughts, eating disorders, anxiety, depression, substance abuse, or a combination of these. Through art therapy, victims can rebuild their self-esteem as artistic creation has the power to instill feelings of self-worth and confidence. It can also lead to self-discovery by helping the survivor to acknowledge and recognize their feelings, which may have been buried deep within. Along with these outcomes, art therapy can be a form of emotional and stress relief, reducing anxiety and depression. Through art therapy, victims can rebuild their self-esteem as artistic creation has the power to instill feelings of self-worth and confidence. Cases have shown that Post-Traumatic Stress Disorder (PTSD), depression, and anxiety are found to be widespread mental health concerns among human trafficking survivors. In 1990, art therapy became applied specifically to PTSD and became an alternative therapy for survivors of human trafficking. Although the program showed promising results in improving the victims’ mental health rehabilitation of post-traumatic stress and traumatic memories, attracting funds to support art therapy for human trafficking survivors can still be a challenge today due to donors’ lack of understanding of art therapy. Many art therapy programs are supported by lottery funds, grants from art councils, or local community fundraising. To help raise funds for human trafficking justice and post-trauma rehabilitation, some of the artwork produced by survivors may be showcased at local art exhibits or museums and sponsored by human trafficking advocacy organizations to raise awareness and to educate the community about the economic and social effects of human trafficking. The trauma experienced during human trafficking and slave labor may vary considerably among individual survivors, and coping strategies may be complex, increasing frustration and challenges with survivors who are receiving help. Trauma treatment and mental health recovery organizations know that survivors of human trafficking have sometimes lost the basic life assumptions of feeling safe and worthy. While art therapy only plays a small role in the rehabilitation process, it provides positive and meaningful value to mental health care for human trafficking survivors. From protecting survivors from relapses to helping them gain social and economic independence, art therapy is more than creating something, it’s a powerful resource that allows survivors to creatively choose their own effective method of healing.